What is the average cost of tooth implants? In life, we are faced with the fear of losing teeth at some point; this happens either in old age as we are bound to lose teeth through wear and tear, through accidents, diseases and in some instances due to poor lifestyles. However, with the advancements in dental technology, it is now possible to replace a missing tooth through dental implants. 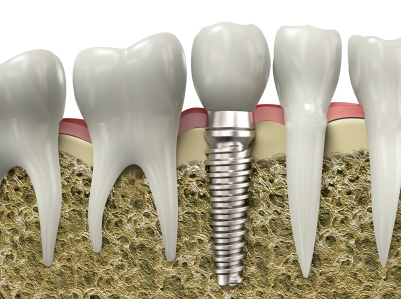 Dental implants are used to replace and restore missing or damaged teeth with something as close to natural teeth as possible. Generally dental implants are perceived to be expensive even when it is not the case because in most situations it usually depends with the procedure itself which varies from patient to patient. Anyone who is considering dental implant treatment to replace missing teeth or improve their smile should know the average cost of a tooth implant. 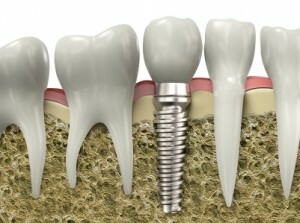 Dental implant treatments cost from £995 -£3000 per tooth. With so many options, finding the best price for dental implants is a short research away. Brighton Implant Clinic offer a best price promise. The clinic is specially designed to provide dental implant treatment. We are open 6 days per week and have helped many happy patients regain their smile and confidence. There are many clinics offering dental implant treatments today. Using the internet will enable any prospective patient to understand what is involved during the dental implant treatment process. Putting in an hour or two into internet research may provide answers to commonly asked questions. It is important to note that ultimately the dentist who will carry out the dental implant treatment always knows best as he/she will be the one carrying out the assessment and making a diagnosis. While doing your research to find out the average cost of tooth implant, it is important to put other factors into consideration, one of the factors is the number of teeth to be implanted; this is one of the most important factors that will determine the cost; just how many implants do you need. 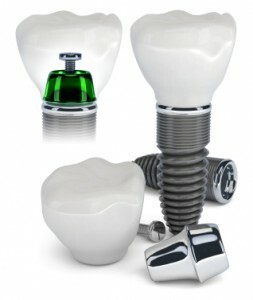 Usually the more implants a patient needs the more affordable the cost will be for each dental implant. The average cost of tooth implants can vary between each patient. Sometimes the cost of treatment may be higher than normal due to bone augmentation being needed. Different types of crown are available to fit onto the implant and these can also affect the total cost of the dental implant treatment. The average cost of dental implants is decreasing as more patients start to undergo this amazing dental treatment. At Brighton Implant Clinic we provide a free assessment and free panoramic radiograph for all new patients.